- Form - Tablet form. 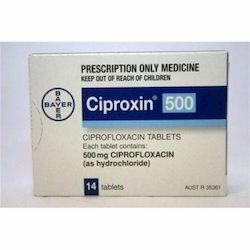 Cipro is a fluoroquinolone used to treat urinary tract infections (acute uncomplicated cystitis, pyelonephritis, and chronic bacterial prostatitis). We are one of the pioneers engaged in manufacturing, exporting and supplying a wide gamut of Gynaecology Tablets. 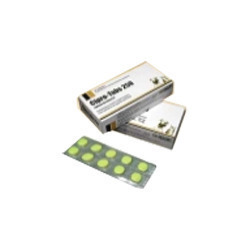 The wide assortment of Gynaecology Tablets offered b us are effectively used to treat various Gynaecological condition in women. The entire range of Gynaecology Tablets is strictly quality tested on the basis of industry set quality parameters and norms.